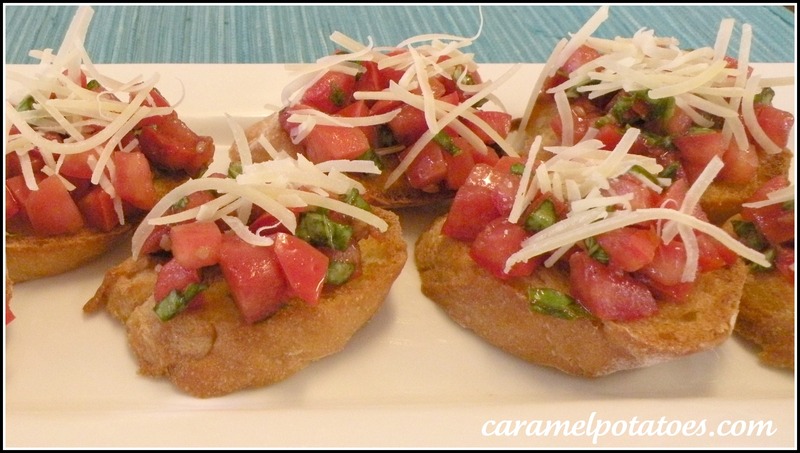 Fresh Tomatoes and Basil – Tastes like Summer! So here it is the 21st of May and I just picked little Roma Tomatoes from my back yard! I had to do something fun with them. Last week I was talking with my mom who lives in Washington and she said she was just getting ready to put some tomatoes out. When I told her my tomatoes were just ready to pick she was so envious! 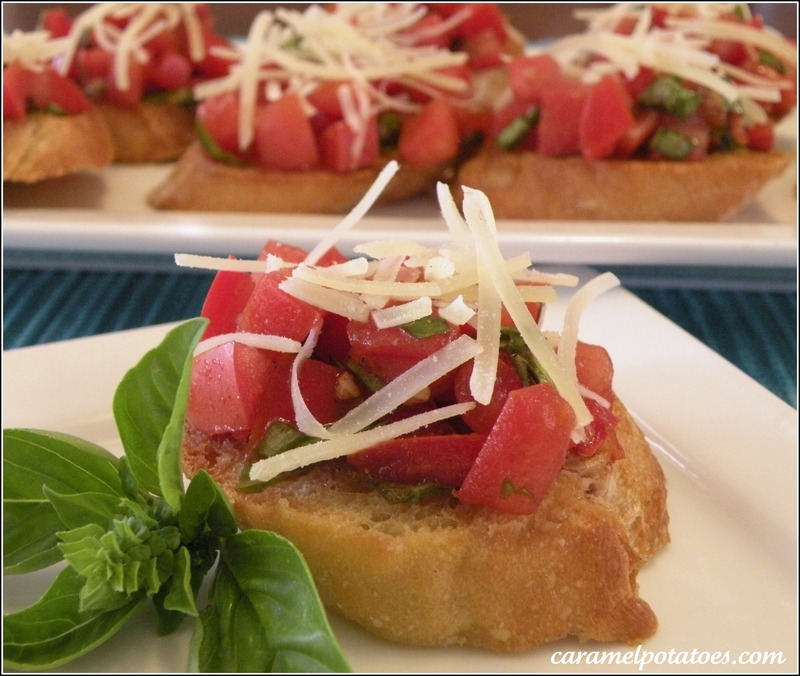 I also have some fresh basil out there- so bruschetta it is! Spring comes early in Texas . . . sometimes it doesn’t really last that long – we just skip to summer it seems; but this year we’ve had some beautiful spring weather and my little tomato plant has done well. Good thing, because pretty soon it will be hot enough to fry those tomatoes out there! And just so you don’t get any imaginations about me being a gardener – I’m really not. 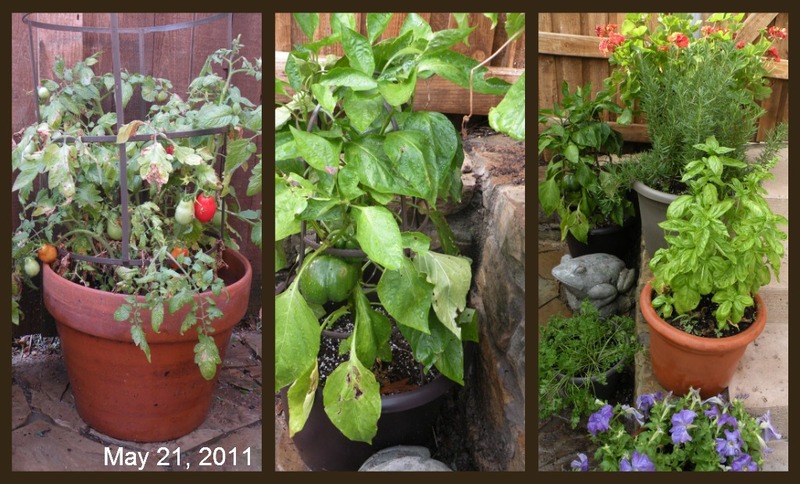 I don’t have much space; our pool that takes up most the backyard, but I have my little corner with a few little pots and some good stuff to keep things fresh: Tomatoes, Peppers, Basil, Rosemary, and Parsley. Chop the tomatoes and mix with the minced garlic, balsamic vinegar, olive oil, and basil leaves. Add salt and pepper to taste. Let that marinate about 30 minutes. While the tomatoes marinate, slice your bread on a diagonal into 1/2 inch slices. Brush each side with a little olive. Take a clove of garlic, peel it, and slice it open. Then rub each side of the bread with it to add a little of that good flavor! Place the bread on a baking sheet and put it under the broiler until its nice and brown. Flip the bread over and toast the other side. At this point you can place the tomatoes on a platter with the bread and cheese to let people serve themselves; or you can top each slice of bread with a spoonful of tomatoes and then the cheese. Fresh and Delicious!